I mainly did 3 things over the Christmas holidays of 2014. I drove from Canada to Mexico and back down Route 66, I climbed mountains and I jumped out of many an airplane. 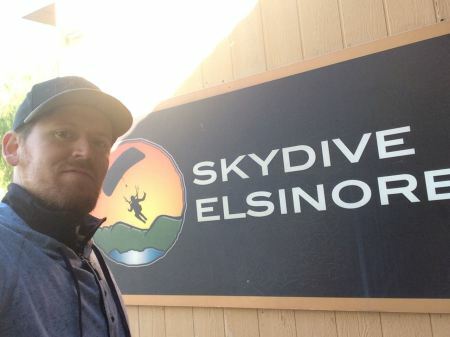 Route 66 is the best road in America, mountains are the best thing to climb and Skydive Elsinore is the best place to hone your skydiving skills. SKYDIVE ELSINORE This DZ (Drop Zone…not a truck driver’s license..remember that) is located in Southern California about an hours drive from the bustling metro areas of LA and San Diego. It’s surrounded by the beautiful Ortega Mountains that yes, look nice, but also provide sweet sweet cloud blockage for epic blue sky skydiving days. Elsinore is the longest running DZ in North America and is widely considered a home way from home for many a skydiver. This isn’t just because of the weather (doesn’t hurt) or the location of the place (doesn’t injure), it’s because of the culture and atmosphere that oozes in and out of their airplanes, parachutes and classrooms of Skydive Elsinore. I chose this DZ because it is known for it’s dedication to providing a super fun time!! 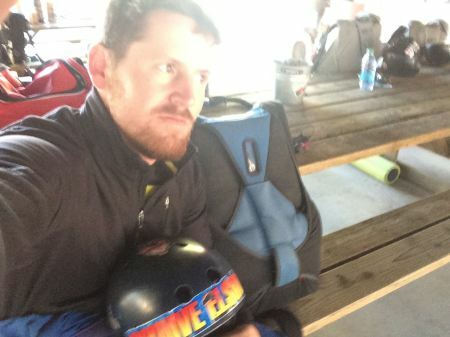 …yes, but paramountly, an educational and safe experience that will bring you to the next level in your skydiving game. “Knowledge is power” is a cute, nice lil saying for the kiddies in the high school library, but knowledge is safety, super fun times! !…yes, but paramountly, something that will allow you to enjoy the activity of skydiving and stay alive and kickin’ until your upstairs marbles no longer mo-ment (as in momentum) .. 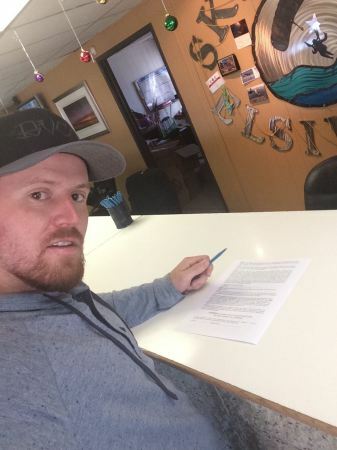 They license more skydivers than any other DZ in North America and that’s a testament to their dedication to foster a culture that encourages newbies to come out, learn and advance in skydiving. I’m kind of talking them up a lot. Here’s why.. It’s really, really intimidating to go to a new Drop Zone when you’re not a really experienced jumper. 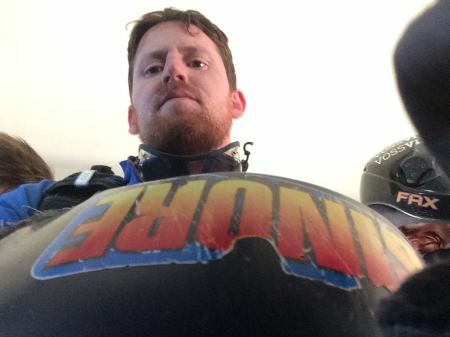 There’s always a lot going on and there are so many critical things to know at a new DZ, on top of all of the critical things you have to know to skydive anyway. Uhhhh..ok, imagine your family moved and you have to go to class for the 1st day at a new high school, but you don’t know how to read, you can barely speak english and if you fail the test at the end of the day…well you just might not make it out alive soldier!! Just kiddin..you’ll probably make it out alive, but you get the jist. It’s intimidating and uncomfortable and throws you off your game if people aren’t cool. My experience at Elsinore was very inviting. They snag you right away and get a feel for your experience level by talking to you and looking through your log book. They set you up with a plan and you go from there. Woo! One of the gems that show their dedication as a learning facility and not just a tandem factory (sidebar your honour? A tandem factory is a DZ that is merely in the game to squeeze dollar bills from tourist and perform only tandem jumps. They care not and do not cater to anyone else. 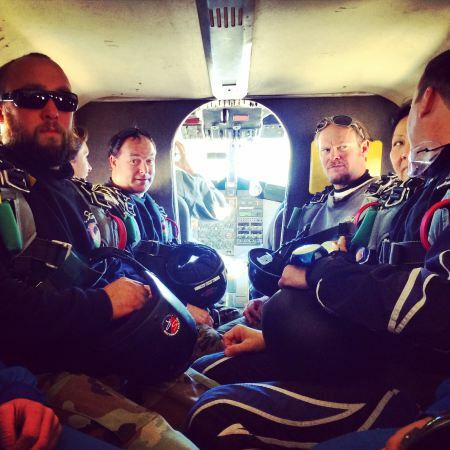 What’s a tandem skydive? It’s a skydive where someone who pays a few hundred dollars can be strapped to an experienced skydiver whilst they leap from a perfectly in tact, well maintained airplane. It’s fun and you should do it. Anyway, I ran into one of these factories in Namibia, Africa and it was a nasty little place that I decided not even to jump at…barf). One of their gems that show their dedication as a learning facility is an event they host every year called.. Bridge The Gap: Bridge the Gap is all about learning a ton, making new friends, and bridging the gap: between you and your gear, between you and your coaches, between FS and freefly… we want to help you get to where you want to go in the sky! Cool! Yeah!! 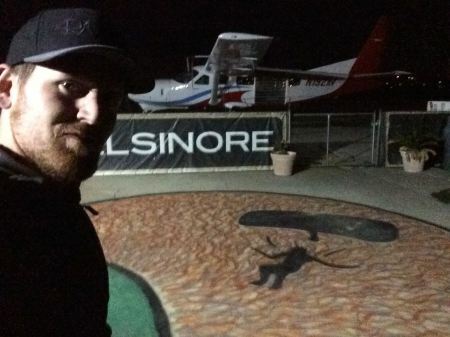 Ok, well there it is for Skydive Elsinore. I’ll be back!! Special thanks to T, Barry and Chris Dare for learning me and ‘Hanging on for dear life’ haha. ​Where am i right now? Please send me some tips or friends you know here!